We are top buyers of any condition Vehicle and Get You Paid top Cash For Cars, Trucks, Vans, Buses & 4 WD’s. If you got any vehicle that needs to removed permanently, our services are exactly matched with your requirements. How to Get a Quote? First:- You can sell your old unwanted cars just by dialling 08 7071 9214. Also, we evaluate online if you send us the details using our enquiry form. 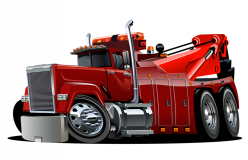 Second:- Once you get Quotes, Our Team with Tow Truck Comes to Your Place and Pickup. Third:- Cash Paid before Towing. Time is the money now, so nobody wants to wait for 24 or 48 hours for just quotation. So we bring an instant solution for cars to quote now. That is very easy and always fair. What all you need to do is- pick up your phone to call us and will get your quote. We always verify before with the customer for the satisfaction of the prices that are given by us. If everything looks good, our drivers with tow truck will come to your location, and they will verify some identities of car owners, will tow your car, pay cash if you want, otherwise will transfer into the bank account. We’re paying top dollars up to $15,000 to buy Sedans, 4WDs, Utes, Jeeps, SUVs, Buses, Trucks, Forklifts & Light Trucks. Our team always fulfil all sort of norms that is you have disposal that is mandatory for a human being. So it is our responsibilities to taking cars all things with the nature of the environment. Although, our services of vehicle recycling are directly related to the used automotive industry that is our aim to find a solution every time. Collection of vehicles that is no longer worthful are taking for permanent disposal and comes into Free Car Removals. How it works- if we talk about a few words for your light car or heavy trucks that are available for disposal. First of all dial 08 7071 9214 for free inspection over the call. If you get a satisfactory answer for your vehicle removal answers our team will collect relevant information and visit your address with cash and buy your car along with free removals. Our services belong to all car buyers where the condition and year of the vehicle don’t matter. Have an old Ford car, truck or 4WD? Have a damaged Toyota? Looking for the right buyer! Simply fill your required details on quote request form so we can evaluate and offer a valid price. Since searching buyer for a good condition car is easier than scrap or unwanted.When you need cash for cars Adelaide; you should know that we buy scrap cars as they are. We do not reject any old car. We are in the business of recycling and every part of your car is recyclable and reusable. As we profit from recycling scrap cars and we want you to profit from selling your scrap cars to us. We can definitely ensure a suitable payment every time we buy a scrap car from its original owner. You profit when you sell a scrap car to us. You get the worth of your car in its current condition. No repairs needed and there is no need to pay money to advertise your car to get it sold. Selling your scrap vehicles to get Quick Cash For Cars Adelaide is a simple and hassle-free process. Pick up the phone, call us and let us take care of the heavy lifting. You do not need to spend money on advertising for the sale of your car. You do not need to bear the cost of repairs and refurbishing. Additionally, you definitely do not need to let your old car continue to take up space in your garage or on your property. Broken Cars- Scrap Cars- Damaged Cars- Unwanted Car Free Removals- Cash For Accidental Cars- Any Condition Trucks, All Sort of Vans and buses. Holding on to your scrap car is definitely something you could do, but at what cost? Cars occupy space and a lot of it. Think about it! Why would you let an old unusable car occupy space in your garage or anywhere else on your property? Space trouble is also bound to come up when you buy a new car. Your scrap car will continue to take up space without giving you service in return. Property in Adelaide is expensive and most car owners have limited garage space. You need to find solutions for when an unused car occupies garage space. It is easy to see that for practical reasons, this is not a suitable option for most scrap car owners as well. When you need cash for cars in Adelaide, sell your scrap cars to Quick Cars For Cash. This is also the best option for you when you need to get rid of a junk vehicle. There are more than a few reasons why this option is bound to work for you. Our team of towing definitely makes the sale of an old car a hassle-free process. We take scrap cars as they are! We pay you for what your scrap car is worth and handle transportation. Scroll down to know more. 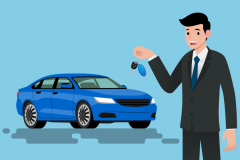 Process To Sell Your Car For Online. When you are on the quest for hassle-free scrap car removals, Quick Cars For Cash Adelaide is the best option. Selling your scrap car to the right buyer is now very easy using the internet. Just pick up your phone and make a search like- Cash for cars near me or scrap car buyers. You will pop up for several results online where you can make your own choice that who is the best one for your vehicle to buy. Now how would you find the genuine one? Yes, you can sort companies using reviews on the map. Quick Cars For Cash Deals Adelaide wide to pick up unwanted vehicles as well as used and running. If you’re looking to get the detailed information for your suburb in North to South, East to West, our location of suburbs will help you. 7 Reasons Why Choose us? Cash For Scrap, Junk and Unwanted Cars Along with Free Towing is Waiting For Your Call, We Can Pay You Top Cash, Just Call us For Quotes. The wrecked and unused vehicles may own the place in your house unnecessarily. Give your unwanted car to us and get the highest money in exchange. Are You Looking For A Quick Free Car Removals? We tow unwanted cars and trucks in 3 easy step process. Just give us a call Today! You can sell all types of scrapped, wrecked, mechanical fault, second-hand, accidental trucks at a high price. We're helping you to get in touch with. The best car wreckers in town. Service was excellent — a straightforward person. I am positively recommending this place to anyone that needed their services: value for money and a very humble man. I got $100 more for my friends car other wreckers offered me very less for a drop off to their yard, but Quick Cars For Cash was more than anyone. So beautiful and comfortable process, I liked it. I am buying a second-hand part for my old car from Quick Cars For Cash car wreckers today, low price and excellent customer servicing skills. 5 Star Recommended.